Our Mission It is the mission of Fireside Chiropractic to inspire whole families to function at their optimal level through chiropractic adjustments and a vitalistic approach to their health. Empowering each individual utilizing education and experience, so they can make choices that enable them to live at their highest potential, doing the things that they love with the people they love. Health is controlled by the nervous system, which is directly affected by the spine. When interference occurs from stress, chemicals or trauma in the body, it can cause subluxations within the spine. These subluxations can impair the normal functions of your body, resulting in an array of symptoms. Chiropractic is a great way to get your body back to optimal function, free of subluxation so you can do the things you love. Chiropractic adjustments correct the subluxations that cause imparied function and the symptoms that may follow. Adjustments are gentle physical maneuvers that can help any body at any age to heal, allowing you and your loved ones to enjoy a full, functional and happy life! Massage therapy has been around for hundreds of years as a way to release the muscles and soft tissues of the body by decreasing tension and pain and increasing function. There are numerous massage techniques, each one aimed at creating healthier tissues and bodies in their own way including kneading, rolling, stretching and compressing. Here at Fireside Chiropractic, massage therapy is used as a way to get the body back to its normal function by releasing tension, increasing range of motion and encouraging relaxation throughout. 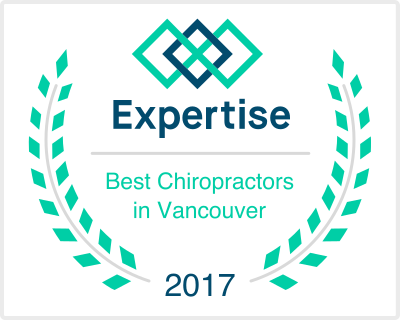 We were voted one of the best Chiropractors in Vancouver, WA!